Experience a little piece of paradise in the picturesque town of Laie on Oahu's North Shore, close to fabled beaches and some of the island's most popular attractions. Sink into plush bedding in your hotel room or suite and feel right at home with a mini-refrigerator, flat-panel TV and FREE Wi-Fi. The hotel is the perfect base from which to explore the North Shore and its many invigorating activities includingpaddle boarding, kayaking, surfing and ziplining. Located in the town of Laie, on Oahu's scenic North Shore. 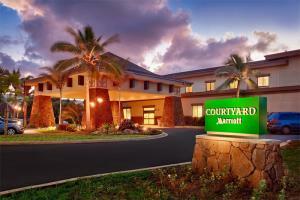 About 36 miles from Honolulu International Airport.